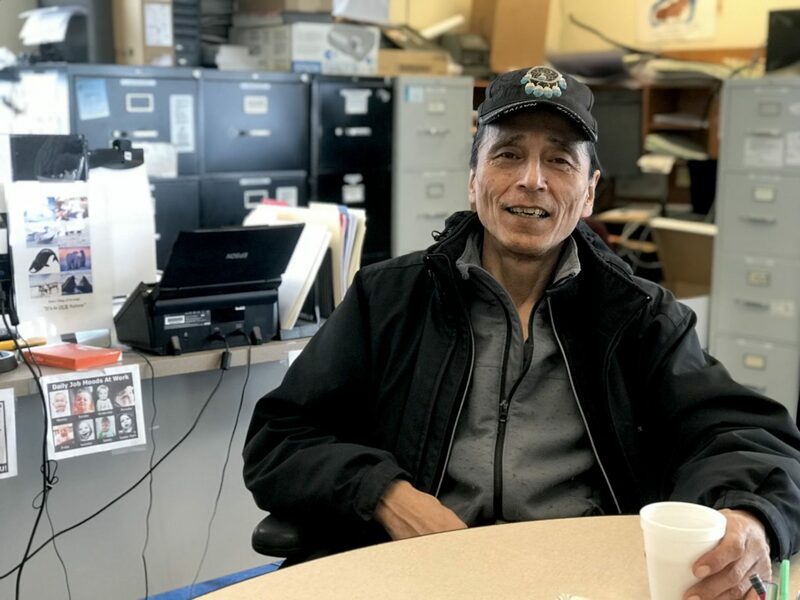 As climate change has reshaped life on St. Lawrence Island, Delbert has become a fierce voice calling for action to protect his home. In this two-part series, Delbert shares memories from his childhood and explains what’s at stake for his community. He’s learned that what motivates him is not fear, but love, and his vision for the future is one of hope. To hear the series on the air, tune in to KNOM on the following dates. You can also listen using the audio players below after the first air date of each episode. 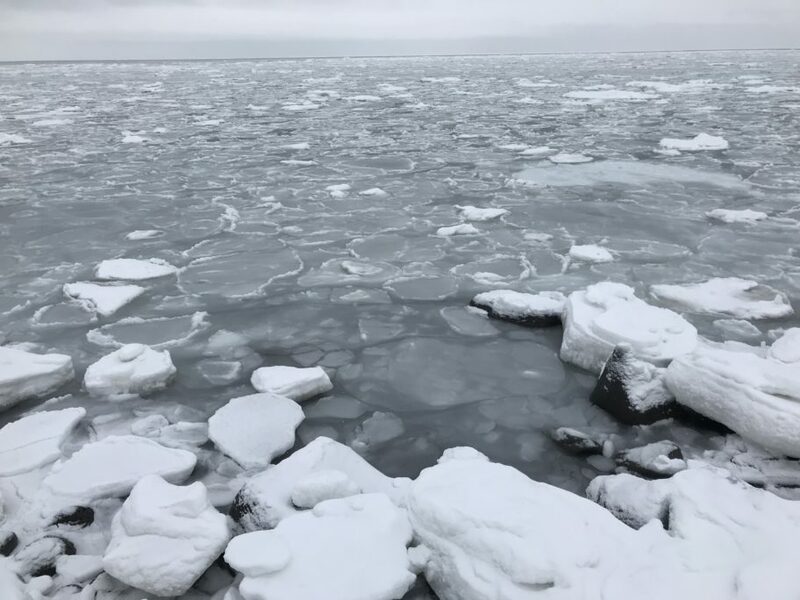 Thin ice and open water along the coast of Savoonga in late March 2018. Photo: Zoe Grueskin, KNOM. Image at top: Delbert Pungowiyi in the Savoonga IRA office. Photo: Zoe Grueskin, KNOM.